No one can live an authentic Christian life without keeping eternity set before their eyes. I’m not talking about creeds and doctrinal statements, or what you believe on paper. I’m talking about living like eternity is real, living like what I do today radically affects how I will live in the forever and ever. There is a Day coming where we all must appear before the judgment seat of Christ and give an account for every deed we did in this life. The judgment that will be given by Him on that Day – whether rewards or punishments – will last forever. That Day is the most important day of your life. When I speak of the Day of Judgment, I’m not only talking about Heaven and Hell. Good works won’t get you into Heaven on that Day, only grace will (Eph. 2:8). Nevertheless, Paul says “we all” must appear before the judgment seat of Christ. That includes Paul himself and all the other believers saved by grace. On that Day we will be judged according to our works – whether good or bad – and be repaid for each one. Some will receive eternal rewards, others will have their works burned up and suffer loss. Most of us would say, “Yeah, I know all that,” but do we live like we know that? Do you live like a steward who will have to give an account to your Master for what you bought today, for what you watched on TV, for how you spoke to your spouse and children, or to your employees at work? Do you live like a steward who has made it your primary “ambition” in life to please your Master, to whom you must give an account, and in whose hand lies your eternal future? Paul lived with the ever-present weight of eternal judgment pressing upon his heart like a vice grip. He called it “the fear of the Lord.” Not that he feared eternal punishment, but he understood he was a steward who would be called to account by his master (Luke 19:11-27). His eyes were set on eternity. This caused him to live in a way that was different than the world, a way that was authentically Christ-like. The worldly-minded live like this life is all there is. They pursue a lifestyle of pleasure and comfort since this is their only chance to get it. Paul summarized this mentality, “let us eat and drink, for tomorrow we die” (1 Cor. 15:32). Today it goes something more like “as long as you’re happy, that’s all that matters.” Sound familiar? Paul knew that the Day of Judgment was on a collision course with every man and woman on earth. 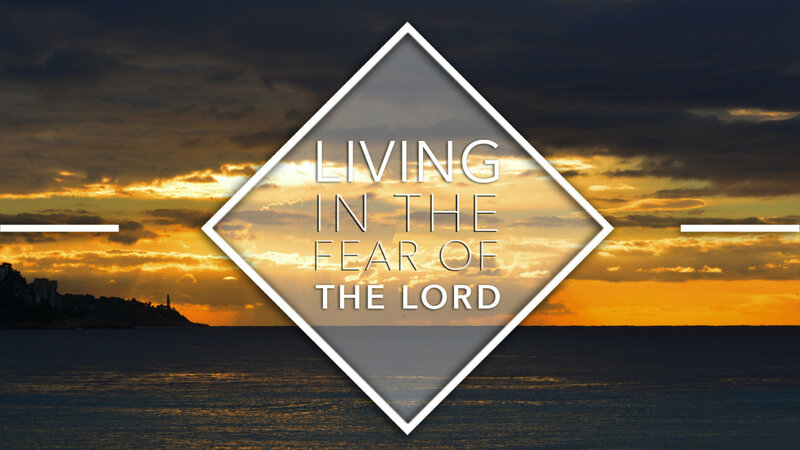 The “fear of the Lord” was the burning fuel in the engine of Paul’s preaching ministry, as he endeavored to “persuade men” – both believers and unbelievers – to live in light of that Day. Be as a wise man or woman; live in light of the Day of Judgment. As His steward, your Master has entrusted you with valuable resources: time, energy, money, words, relationship, position. Use these not for your own glory but for the glory of God. “It is required in a steward that one be found faithful” (1 Cor. 4:2). Will you be found faithful when you are called to account? Jesus told us to look and see that the harvest is ready and that “the one who reaps is receiving wages and gathering fruit for eternal life” (John 4:36). That is the call of missions and all of us play an indispensable role in seeing that it gets done: by praying, giving, or going. Thank you Will for this timely reminder. You, Etta and your family continue to be in my prayers.I pray God will pour our out His blessing, protection and power to carry on the work He has put before you. Let us hold unswervingly to the hope we profess. He IS FAITHFUL WHO PROMISED!! Amen, Amen, Amen. Lord make us wiser. Thank you for your love and fear of the Lord. We have a prayer ministry here in Schenectady New York, our website is pray911.org. How can we pray for everyone of you? We pray Monday – Friday for one hour starting at 7:30pm, corporately on the phone. We pray individually on our own as God directs. Please there is power in prayer and we would love to pray for you. Susan, If you sign up for our prayer team on the “What you can do” page, we will send out periodic emails on prayer points to pray for the ministry, both in Africa and the US. Bless you!